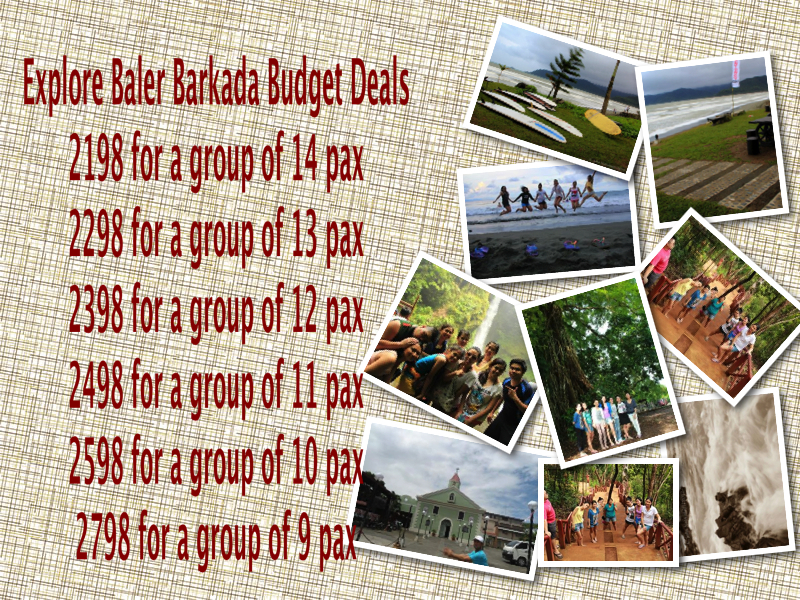 Accommodation: Parklane Hotel and Jun & Carol Beach Resort (subject to availabilities) or the likes. Accommodation: George Guest House (subject to availability) or the likes. 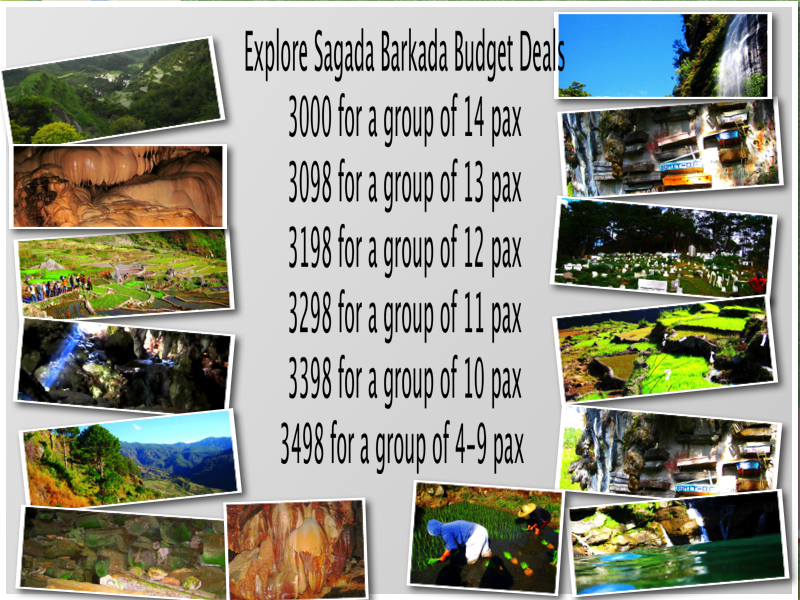 * 2 Days Tour at Kiltepan, Echo Valley, St Mary's Church, Big Falls, Pottery House, Ganduyan Museum, Sagada Weaving, Lumiang Cave, Sumaguing Cave and Orange Farm. Banaue View point. Accommodation: Carlito's Inn or the likes. Type of room: All rooms have their own private bath & Aircon. 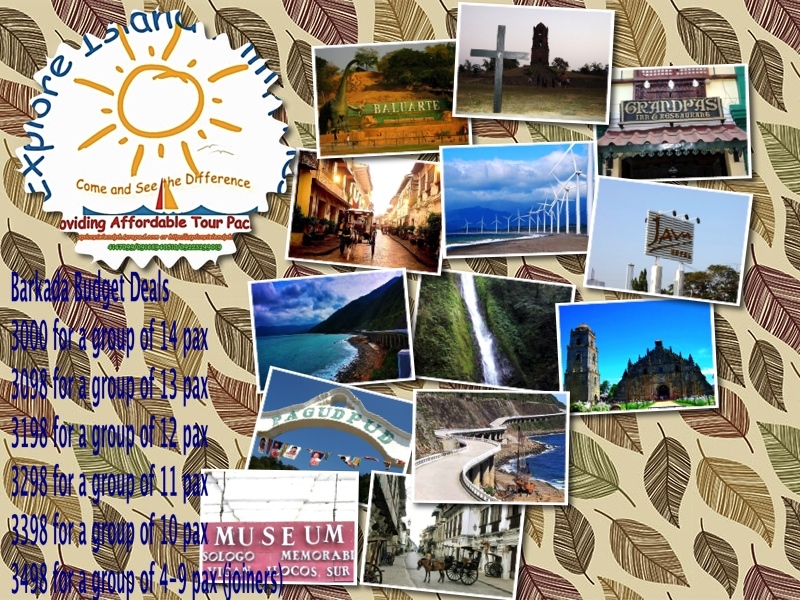 * 1 Day Tour around Baler (Ditumabo Falls, Ermita Hill, Sabang Beach, Baler Catholic Church, Aragon's House, Quezon Memorial Park, Dimadimalangat islet. Optional Activities: extra surf lessons with surfboard rental and instructor (own pax account).